Have you ever tried removing a screw in a tight corner only to find out that your tools are too big for the task? Perhaps you’ve crawled under your car to loosen up some bolts for repairs only to find that you cannot possibly fit your wrench in the small space? Have you ever wondered if a cordless impact wrench would be a good solution for those problems? Definitely, they are a great solution to this problem because they have a compact size that will allow them to fit into small areas and help you to drive or remove fasteners in even the toughest situations. Additionally, no cord would limit the distance from which they can be used. Indeed, don’t count them out because of size–just ask people who played against Mugsy Bogues. Hence, we reviewed two of the top options in this category so that you can get a better idea of what type of portable impact wrench will make your life easier every time you start a new project. Makita is a less well-known brand when it comes to wrenches, but that doesn’t’ make this XWT04Z impact wrench any less effective. This ½” socket model has a great design, interesting color, and–like my last phone–a number of useful features that most will enjoy. The first thing that must be mentioned is the maximum torque on this model. It can provide up to 325 ft-lbs, which is enough to do some considerable heavy removing of fasteners. That torque comes in with 1,600 RPM and 2,200 IPM, so the fastening power that you can get with one little hand tool is intense. Additionally, this tool has a great, ergonomic design. The handle is comfortable to grip, and the entire tool only weighs about seven pounds. Thus, even after using it for a considerable amount of time, you’ll find that you will feel lesser or no fatigue. Plus, the grip is shock absorbent so that you won’t feel every jolt when using this tool. The tool itself is not very expensive, but it can start to get pricey if you also need to buy a battery for it. That’s right; this model does not come with a battery and therefore is known as a “baretool.” That being said, the wrench can also be bought as a kit with either a 3.0aH battery or a 5.0aH battery. 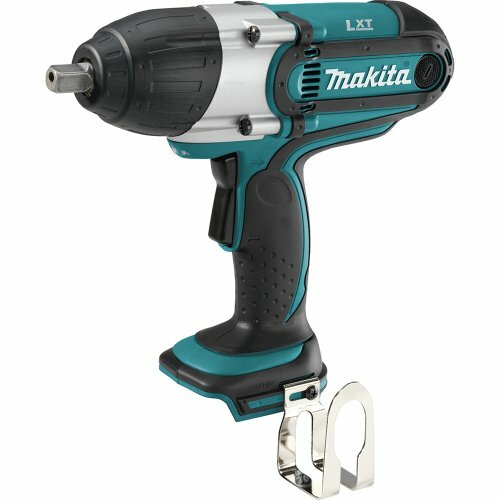 To be able to use this Makita wrench to its full potential, you would need the 5.0aH battery. With any lower powered battery, the full torque will not be possible, particularly if you’re working on a very heavy duty project. For best results, pairing it with a 5.0aH battery is the best choice. One drawback that you should know about kind of reminds of a guy I know back in my hometown–he was always either hot or cold, never in-between–a stereotypical Gemini. This tool is similar in that it does not have a variable speed option. In most cases, you can just use the single speed to get the job done, but some jobs will require more finesse that is not possible with this impact wrench. Not having variable speeds on an impact wrench should not be a deal breaker for most applications. If you need a powerful battery-backed wrench that you can bring with you on the road or add one in your shop, this is a good option. It’s got the power needed to remove even the toughest fasteners. Beyond that, the tool will provide a lot of versatility for your home and job site needs. 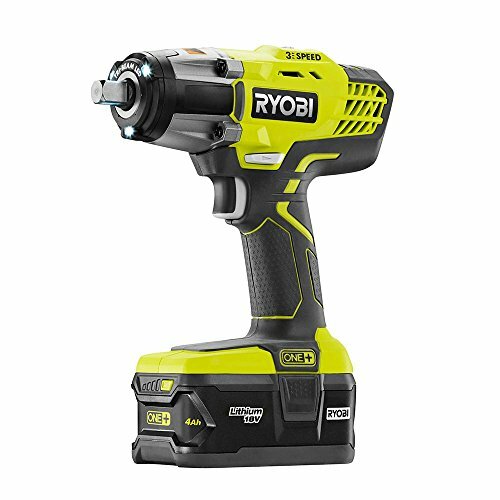 Let’s now talk about the Ryobi P1933-3. This impact wrench operates at three speeds and also has a ½” socket. The model stands out for its tri-beam lights, alternating speeds, and impressive torque. First, let’s talk about usability. The grip on this model is comfortable, though you may find the shaft to be a bit too long to use it in the tiniest spaces comfortably. Still, the model is lightweight enough to carry around without becoming overly fatigued, so you don’t need to take a course on how to carry it like you would a person who’s bigger than you. Another bonus on the usability front is how easy it is to change between the three available speeds on this model. A lot of impact wrenches only offer one speed, so having the ability to switch between speed levels makes it possible to complete jobs more efficiently and accurately. Finally, we should talk about the torque. This impact wrench has 300 ft-lbs of torque. While that’s not the highest number out there in battery operated wrenches, it is impressive. It’s particularly impressive when combined with the variable speed that makes it easier to make the most of this torque. 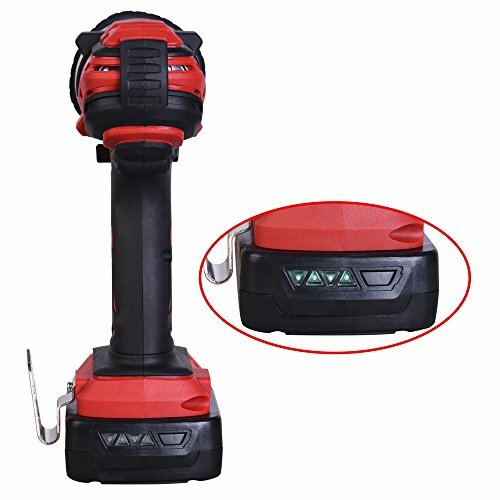 Like other impact wrenches, this model comes with a very basic battery. 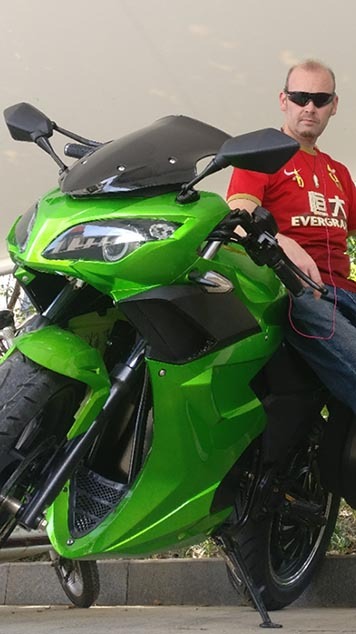 Meaning, it can be outfitted with an 18V battery, which you may already own. For the best results, using a 5.0ah battery is a good choice as it will prove the best and most consistent power for all of your upcoming projects. From stubborn lug nuts to rusted bolts, you can use this tool to remove practically anything. One thing worth saying is that this tool has the power to accidentally strip a screw or nut that you wouldn’t want to be stripped, so take some time to get to know how much power it has. Once you know how to wield it, you’ll be unstoppable! Battery impact wrenches can make your life easier when working in tight spaces. Now, it’s time to choose which one of these products is best for your home and shop needs. 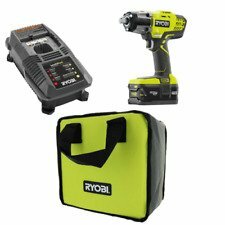 To make your decision even better, check out the video below AND you can read our other impact reviews for both Makita and Ryobi. 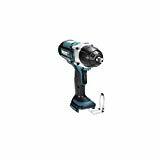 Today, that model is the Makita XWT04Z High Torque Impact Wrench because of its impressive caliber of torque, IPM, RPM, and other useful features that will ensure that you would be able to work on even the toughest fasteners. Although this model’s speed cannot be changed, that is really unnecessary in what is already a powerful device. To remove the toughest fasteners, this impact wrench is sure to do the trick.